A traditional two storey West Highland Farmhouse with an interesting historical background. It boasts some of the best views in Lochaber with a direct outlook onto Ben Nevis and also Loch Linnhe. 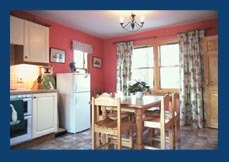 The house has been decorated to a very high standard with every possible amenity. It has three twin bedrooms and three bathrooms (two en-suite). 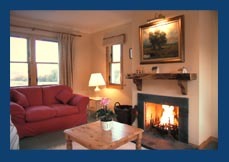 A sitting room with an open log fire and a kitchen/dining room. It is truly comfortable. 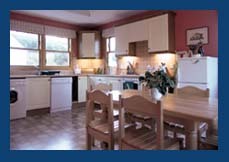 Other advantages are free wifi, a drying cupboard (for outdoor clothing), telephone, Colour TV, DVD and CD players, dishwasher, washing machine, tumble drier, microwave and fridge freezer as well as full central heating and double glazing. 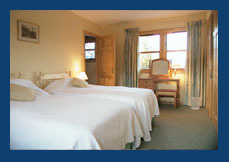 A cot or Z bed can be provided by arrangement. In 1745, the site was the home of the standard bearer to Lochiel (Clan Cameron Chieftain) during the Jacobite Rebellion of "Bonnie Prince Charlie". The standard was found at the turn of the century hidden in one of the old buildings where it had lain since "Bonnie Prince Charlie's" defeat at Culloden Moor. It now has pride of place at Achnacarry Castle, which is still the home of the present Lochiel. Prices from £650-£950 per week.